Recycling is a valuable contribution to the conservation of resources. 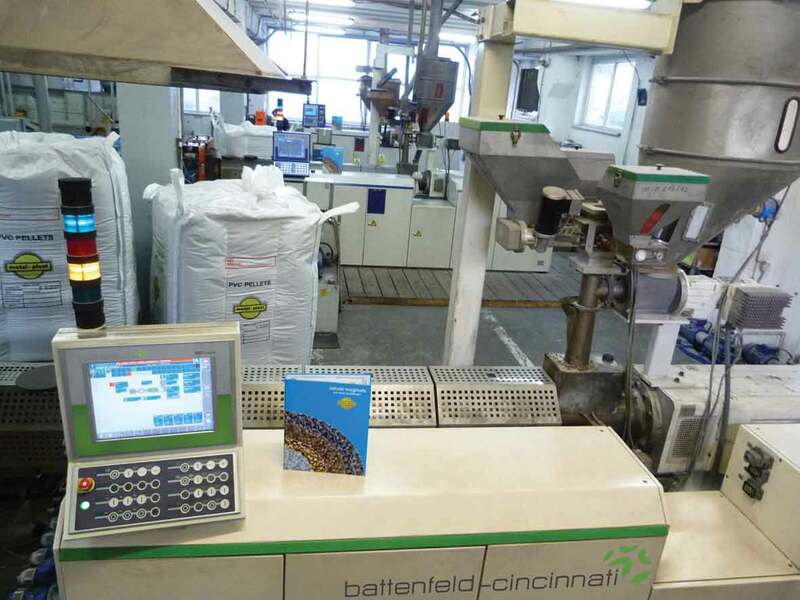 Therefore battenfeld-cincinnati’s product portfo-lio includes customized turnkey pelletizing lines, which pro-cessors can use to convert production scraps and post-consumer waste into regrind which is as good as new. At the K, the machine manufacturer and partner company of the VDMA BlueCompetence Initiative is presenting its optimized machine concepts for top-quality PVC reclaim, and in this particular case in the area of PVC window recycling. Well-known PVC processors have been relying on machine tech-nology from battenfeld-cincinnati for many years. The customer base also includes the Polish company Metal-Plast, domiciled in Świebodzice. With 150 associates, Metal-Plast is one of the largest PVC processors in Europe and has just purchased its fifth pelletizing line from Bad Oeynhausen. 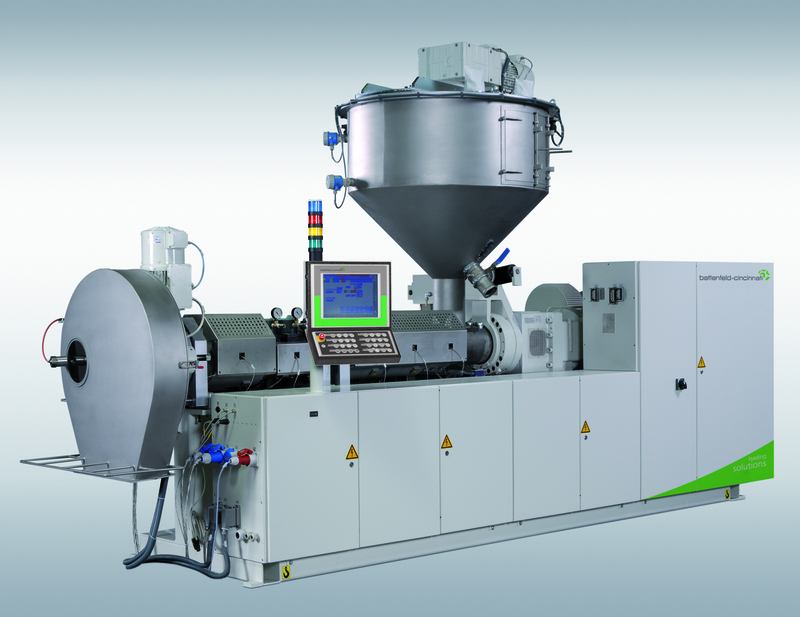 The complete line is equipped with a BC 2-92-28V twin-screw extruder and reaches a regrind output between 500 and 800 kg/h. Metal-Plast processes some 15,000 tons of PVC regrind per annum. Top-quality re-granulates are won from production scrap to be re-used in window profiles, but also for making cable troughs, earth barrier walls or floor panels. For this purpose, the company possesses granulators for shredding profiles up to 6 m in length, as well as equipment for visual and mechanical sorting, in order to remove color impurities or foreign particles such as ferrous and non-ferrous metals, but also rubber, wood or sand. To be able to offer these benefits, battenfeld-cincinnati conti-nuously improves its machine concepts. 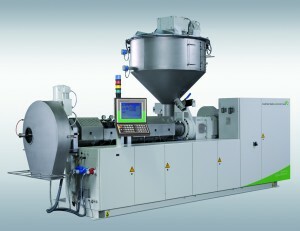 Some of the most out-standing highlights of the pelletizing systems are their optimized screw geometries, which ensure gentle processing of the scrap materials and homogeneous melt processing, and the special anti-wear coatings of screws and barrels, which provide a long service life in spite of processing contaminated materials. The control sys-tem used in this equipment is not only easy to operate, but also contributes to the long service life, since the intuitively operating touch control system comes with integrated monitoring modules designed to detect damage of every kind. Pelletizing systems for PVC processing are one of the main product lines which the Packaging Division of battenfeld-cincinnati will be showcasing at the K. In recent years, the company has been ex-tremely successful with its well-known EMS machine series, and it underscores its competence once more with its latest innovative developments in this area.